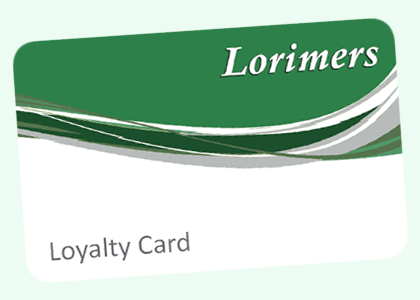 Our Loyalty Cards have been replaced by Loyalty leaflets (“leaflet, leaflets”, “card”, “cards”). Besides their physical appearance they operate in the same way as cards. They are available from any of our stores. Already Have a Card ? Activate it Now! The Clarkes of Sussex Loyalty scheme is operated by Clarkes of Sussex (“Clarkes of Sussex”, “our”, “us”, “we”), a company registered in England, number 00471436. The registered office is Unit B2, Ullswater Crescent, Coulsdon, Surrey CR5 2HR. Clarkes of Sussex Loyalty Cards are issued by and remain the property of Clarkes of Sussex. Points will be awarded for eligible purchases at any Clarkes of Sussex store and details are available on request. Loyalty points can be awarded and redeemed against goods and services at Clarkes of Sussex stores only. Loyalty points will not be awarded for the purchase of gift cards, gift vouchers or postage stamps. Clarkes of Sussex reserves the right to exclude any products and services from the Clarkes of Sussex Loyalty Card scheme at any time and without notice. Loyalty points can only be awarded by presenting the card at the time the purchase is made or by giving your name at the till counter at our stores. Unfortunately, points cannot be awarded after the transaction has taken place even where a receipt is later presented. Under no circumstances can Loyalty points cannot be exchanged or redeemed for cash. Where a refund for goods is applied, any points that were awarded for the original purchase will be deducted from the Clarkes of Sussex Loyalty Card. Where goods are purchased but then exchanged, any points that were awarded for the original purchase will be deducted from the Clarkes of Sussex Loyalty Card and any points eligible for the new purchase will be awarded. Clarkes of Sussex accepts no responsibility for damaged, lost or stolen cards. Therefore, any Clarkes of Sussex loyalty points held on damaged, lost or stolen cards cannot be replaced. Clarkes of Sussex reserves the right to request identification when Clarkes of Sussex loyalty points are redeemed. Clarkes of Sussex reserves the right to suspend or terminate the Clarkes of Sussex Loyalty Card scheme at any time by providing 14 days notice at Clarkes of Sussex stores. To register and use the Clarkes of Sussex Loyalty Scheme you must be 16 years or over. For a Clarkes of Sussex Loyalty Card to be registered you will need to provide your first and last name as well as your email address. No other information is necessary. This information will be collected under GDPR regulations – for further details please see our GDPR information page and our Privacy Notice. If you breach, or if Clarkes of Sussex reasonably believes that you have breached, these terms and conditions your Clarkes of Sussex Loyalty Card may be terminated without prior notice and any accumulated points will be forfeited.